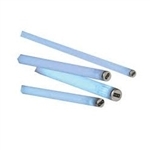 Item# EL-082. 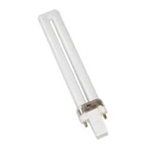 25W UV Bulb for WS-95 (Sold as a 2-Pack) Gardner FW-9 FlyWeb insect control unit. 24 Hour non chemical trapping. Attracts insects up to 20 ft away. FDA & USDA Approved. 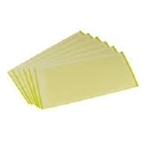 3.5" X 10.5" X 1.75"
Product # EL-61 Description TRAPPING BOARD PAPER FOR USE WITH G-200 Item# CS-64. Glue Boards for FW-9 (Sold as 100 packs) Gardner WS-95 White insect control unit. 24 Hour non chemical trapping. Attracts insects up to 50 ft away. FDA & USDA Approved. 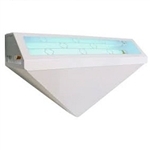 Gardner WS-95 Gold Vein insect control unit. 24 Hour non chemical trapping. Attracts insects up to 50 ft away. FDA & USDA Approved. Drop shipped from vendor. Freight included Gardner WS-95 Black insect control unit. 24 Hour non chemical trapping. Attracts insects up to 50 ft away. FDA & USDA Approved. Drop shipped from vendor. 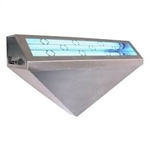 Freight included Gardner WS-95 Stainless Steel insect control unit. 24 Hour non chemical trapping. Attracts insects up to 50 ft away. FDA & USDA Approved. 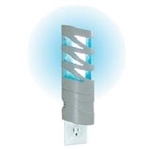 Product # WS-85-GOLD VEIN Description GOLD VEIN WALL SCONCE INSECT TRAP WITH GLUE BOARD, GREAT FOR DINING AREAS OR HALLWAYS, 25 WATT PF BI-DIRECTIONAL ULTRAVIOLET LIGHT, (24" LONG, 10" HIGH, 5" WIDE) Product # WS-85-WHITE FiNISH Description WHITE FINISH WALL SCONCE INSECT TRAP WITH GLUE BOARD, GREAT FOR DINING AREAS OR HALLWAYS, 25 WATT PF BI-DIRECTIONAL ULTRAVIOLET LIGHT, (24" LONG, 10" HIGH, 5" WIDE) Gardner GT-215 insect control unit. 24 Hour non chemical trapping. Attracts insects up to 50 ft away. FDA & USDA Approved. 18.5" X 12" X 2.3"
Targets flies, gnats, and moths with a small glue board on the bottom and a large glue board in back. Aluminum reflectors behind lamp lights. Non-harmful to skin. 72 watt output.